The aim of Asset Coaching is to help people by focussing on their positives and not their issues. We assist people to move through challenging transitions so they can take control of their life and contribute to their community, at The Brick we believe that people have the right to thrive within their own community. Independent Living Mentoring provides individual and bespoke support to vulnerable individuals and families. The Brick in conjunction with the Greater Manchester Homes Partnership, provides accurate advice and information to help people secure or maintain permanent accommodation. 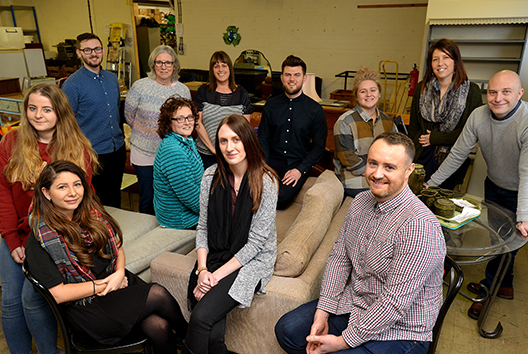 Our vision is to support and encourage rough sleepers across Greater Manchester to start a new life in the right kind of home with the right support, involving them at every step of the way. 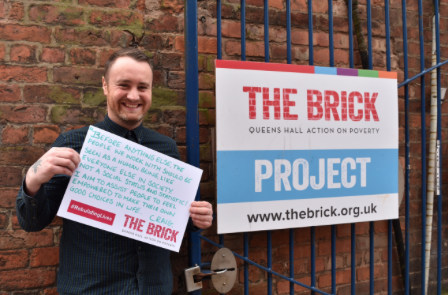 Craig is an asset coach working on a SIB project (social impact bond) for The Brick that was set up by Mayor of Greater Manchester Andy Burnham to support entrenched homeless and rough sleepers – part of his big plan to eradicate homelessness by 2020. Here Craig talks about his work and passion for assisting people to rebuild their lives…. “Before anything else, the people we work with should be seen as a human being, like everyone else in society. Not a social status and statistic. I aim to assist people to feel empowered to make their own good choices in life. “I work with people on a person to person approach, there is no authority – as this would really put some of the people we work with off – and engagement is one of the biggest hurdles that we have to get over. “I work with people who have come into crisis intervention and assist them to get out of their situation, whether that be homelessness, debt or substance abuse. It is normally more than one issue. We support them to make positive decisions like getting onto a training scheme, taking on a volunteering role or employment. “The Brick Works really helps to assist with this – as people can go along and volunteer to see what they enjoy doing, learn new skills and socialise at the same time. Ultimately it is about getting people used to a healthy daily routine – and other positive changes will follow. 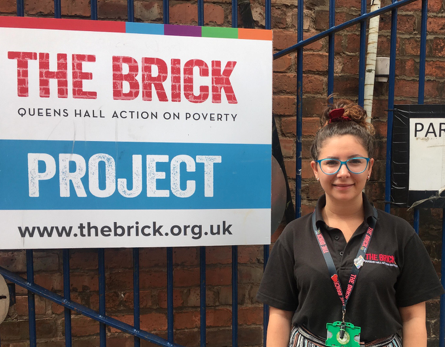 Amy is a Training Co-ordinator working at the Brick Project, she works to help train clients and trainees via group session and qualification courses – Part of her daily effort to improve the lives of the Brick clients.